Damn near close to the real deal. We’ve seen some spy shots, heard a rumor here and there, and we’re expecting it to officially debut at the 2015 Detroit Auto Show next month. 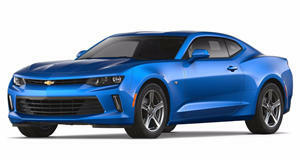 The redesigned, sixth generation 2016 Chevrolet Camaro is just around the corner. Obviously there’s been a tight lid around any specific details. Automakers just hate spoilers, especially when they’re for a car as iconic as this. In the meantime, these absolutely incredible renderings of the new Camaro have just appeared on the Camaro6.com forum. Created by ridiculously talented graphic artist Chazcron (GM, hire this guy! ), they are without a doubt the best preview yet as to what the new Camaro will look like. Based off those spy shots, Chazcron looks like he’s just about nailed it. What does everyone think? Let us know in the comments ahead.